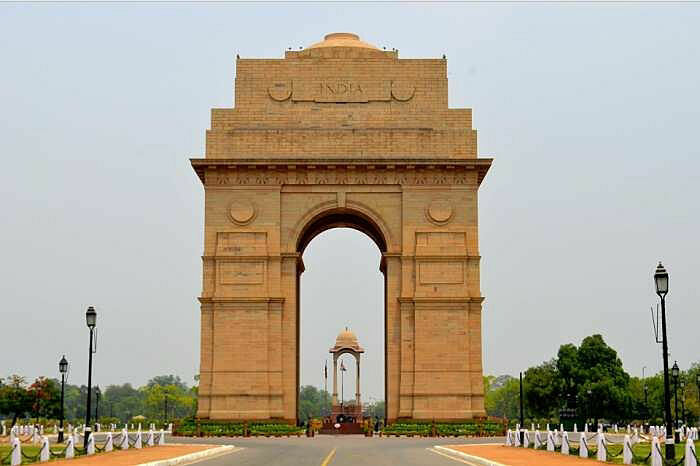 India Gate is a memorial to 82,000 soldiers of the Indian Army who died in the period 1914–21 in the First World War, in France, Flanders, Mesopotamia, Persia, East Africa, Gallipoli and elsewhere in the Near and the Far East, and the Third Anglo-Afghan War. 13,300 servicemen's names, including some soldiers and officers from the United Kingdom who served and died in India during WW1, are inscribed on the gate. Soldiers of the 25th London Cyclists commemorated on the India Gate.